16-22 July is National Farm Safety Week, an annual event to raise awareness of farm safety issues across Australia. The theme for 2018 is “Innovative, Safe and Healthy", highlighting the importance of business and industry working together to increase the well-being of Australian farmers through innovation and improved attention to health and safety outcomes. It’s a great reminder to make sure your operation is as safe as possible. Farmsafe provides some great resources here. Riverland horticulturalist Roger Hefford is surprising olive industry experts with the high volume of olive oil he is producing from trees he only planted in 2015 at his Waikerie property. Are you Australia’s Farmer of the The Year? Nominations are now open for the 2018 Australian Farmer of the Year Awards, celebrating and applauding the outstanding achievements of those individuals and families making a significant contribution to Australian Agriculture. Entries are invited for five award categories. More information and nominate here. The latest edition of the National Plant Biosecurity Status Report has been released, documenting the exotic pest species that threaten our nation, and charting the efforts of government, industry, research and community partners in the plant biosecurity system. 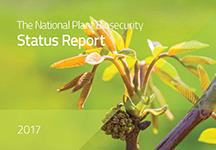 Access the report here National Plant Biosecurity Status Report. If you’ve got something industry-related to sell, you can reach your target market directly with Olivebiz Classifieds. Our online Classifieds service is an easy and inexpensive solution to advertising your unwanted equipment, extra oil - or even your grove. 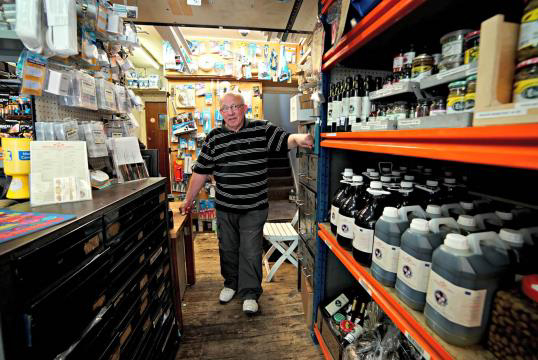 And if there’s something you’re looking for, it’s the ideal way to get the message out loud and clear to your peers and industry associates – like Rob, who’s on the hunt for an olive de-pitting machine . Mixed farming: Angus cross cattle roaming the olive grove. Picture: Supplied. The Meron family have been a sponge for olive information after inheriting a grove with a property they bought for cattle. Yigal Meron, his wife Johanne and his two sons Yoni and Boaz Meron had their first harvest in 2016 and have been growing their business, Macintyre Brook Grove, ever since. Hort Innovation is currently seeking feedback around the investment priorities and themes of the Hort Frontiers strategic partnership initiative www.hortfrontiers.com.au. 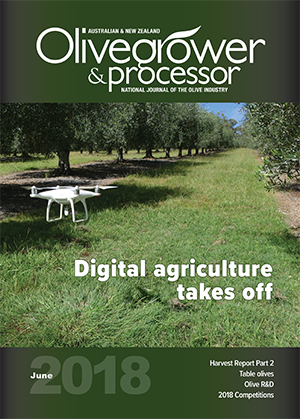 An online survey for growers and other industry participants is now available here or download and print a hard copy version here, then scan and email to HortFrontiersConsultation@consultingis.com.au. Information will only be collected only for this survey and answers are anonymous. The survey closes at 5pm on 27 July 2018. 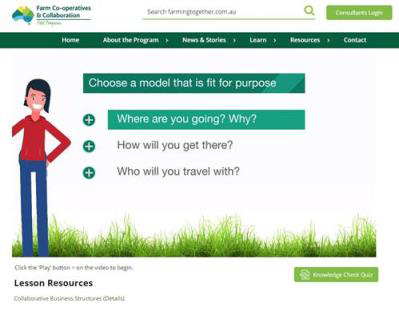 Farming Together now has an online course to help your group understand collaborative business structures. Designed for agricultural groups, the course includes information on governance, financing and member engagement and comprises six self-paced 10-minute video lessons with quizzes and access to support resources. Complete the course and pass the tests and you receive certification from Farming Together. Two versions are available - a simpler ‘how-to’ course preview and the full certification course - both currently at no cost. More here. NSW farmers can take subsidised pre-approved courses through the State Government’s $45m Farm Business Skills Professional Development Program, or apply for other professional development activities and claim reimbursement of up to 50% (GST-excl) up to $5000/farmer or $9000/farm business. More here. The Tasmanian Department of State Growth is offering low-interest loans of $30K to $1m to Tasmanian farm and agri-food businesses. More here. 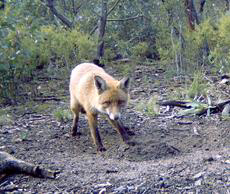 The fox and wild dog bounty runs until the end of October. Eligible participants can submit entire fox scalps for a $10 reward and entire wild dog skin pieces for a $120 reward. More here. 2018 AOA National Olive Industry Conference & Exhibition – have you blocked your diary? 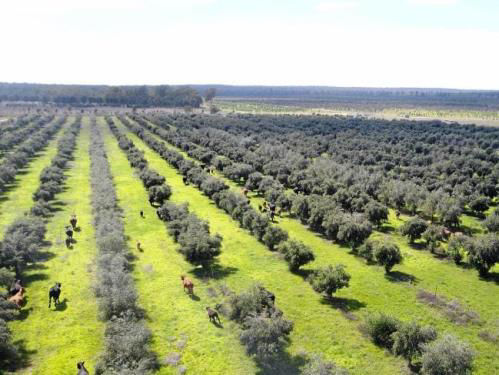 Collective learning is the focus of this year’s AOA National Olive Industry Conference & Exhibition, being held in Wagga Wagga, New South Wales on 18-20 October. The packed program of plenary and field sessions aims to provide information and skills on a broad range of topics, relevant to people at different stages and with varying business operations, with valuable practical take-homes for all participants. NSW IPDM Field Days - time running out to book, limited tickets still available. Be there and protect YOUR grove. Bookings are open for the Integrated Pest and Disease Management (IPDM) field days at Marulan on Friday, 10 August and the Hunter Valley on Sunday, 12 August. Numbers are limited to 40 per event, so reserve your place now. Click the button below for full details and to register, and for the full program of events rolling out across the country in coming months. The field days are being organized by the AOA in conjunction with Western Sydney University to explore appropriate IPDM extension services focused particularly on black scale, olive lace bug and anthracnose. The program is part of the olive levy project An integrated pest and disease management extension program for the olive industry (OL17001). Further information: Liz Bouzoudis: 0478 606 145, secretariat@australianolives.com.au. This is essential pest & disease management information. If you are serious about keeping your grove viable into the future, you cannot miss these field days! Saturday 13 – major report on the Project at the Olives NZ Conference in Masterton. Register your attendance to admin@olivesnz.org.nz and learn more about the project here. No doubt Murat’s passion for EVOO will resonate with many FOE readers. Research offers insight into the role that fat consumption may have on dopamine, and on your motivation as a result. 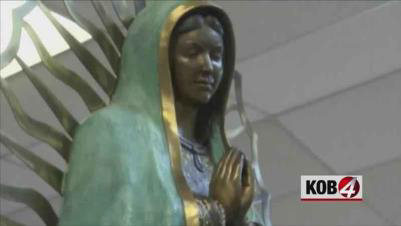 The Catholic Diocese of Las Cruces continues to investigate a Virgin Mary sculpture in a Hobbs church that appears to be weeping. The Las Cruces Sun-News reports Bishop Oscar Cantu of the diocese said Friday a sample of the fluid collected from the sculpture was sent for chemical analysis and it was determined that it was olive oil. Can China become a major olive oil producer? China’s growing demand for olive oil is accelerating the development of a domestic olive oil industry at a pace that appears to start raising alarm among traditional olive oil producers. Asians are at higher risk than Europeans when it comes to obesity and related cardio-metabolic disorders in older age, and functional ingredients may be vital to helping them combat these issues. Dcoop faces a €2.8 million fine from the Spanish authorities as well as scrutiny from the rest of the sector for what are seen as anti-competitive market practices. While the US olive oil market is highly competitive and extremely confusing to many Americans, Italian-based Domenico Manca believes it can add clarity and superior quality with the upcoming expansion of its San Giuliano brand throughout the US and Canada through its focus on transparency and modernity.